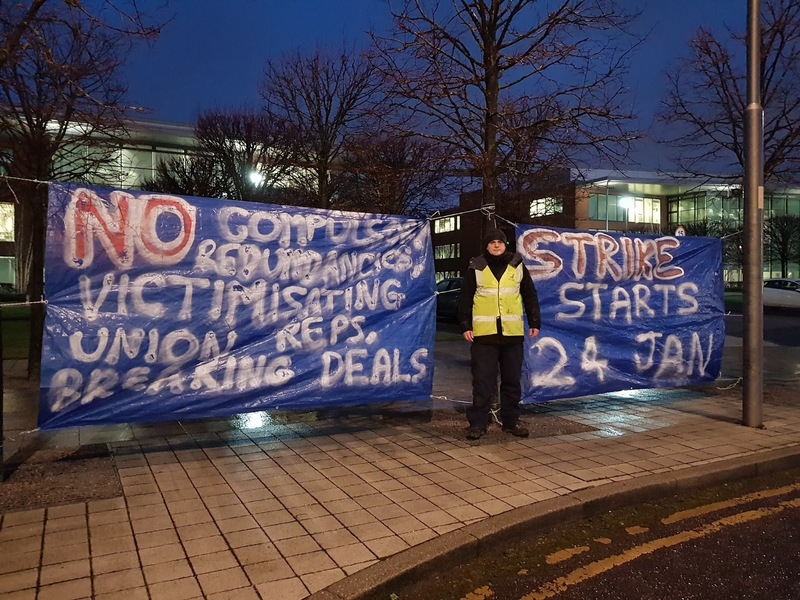 A "Reinstate Ian Allinson - Stop victimisation of union reps" statement has been launched to put pressure on Fujitsu over my dismissal and build solidarity for the wider Fujitsu dispute. I've copied the text of the statement below. The statement with signatories is here, along with how to add your support. On 12 January Fujitsu dismissed Ian Allinson, chair of Unite in Fujitsu UK, under the pretext of redundancy. Ian was part of a tiny fake redundancy pool where the company said all the jobs would go. While Ian was on compassionate leave for a family funeral Fujitsu wrote to tell him he would be dismissed later that week. Fujitsu refused to allow him to work his notice, despite not yet having responded to his application for a job they encouraged him to apply for, breaking previous promises. This is not the first time Fujitsu has tried to victimise Ian, and Ian is not the only rep they have targeted. Unite members at Fujitsu Manchester have voted to take strike action over the victimisation of reps, compulsory redundancies and breaches of redundancy agreements. Fujitsu denies breaking the agreements on the grounds that they are “almost entirely voluntary” - a worrying sign of its future intentions. Fujitsu’s aggressive approach is shown by their threat to withhold bonuses, often worth up to 20% of annual income, from anyone who strikes. Victimisation of any union activist is an attack on the movement as a whole. When the activist is well known the outcome can influence the behaviour of other employers and the confidence of members to be active. We note that around half Fujitsu’s UK business is from the public sector and welcome the commitment that a Labour government would only award public contracts to companies that recognise trade unions, and have “high standards” on issues including workers’ rights. We applaud Unite’s record in defending activists, including the successful use of leverage campaigns as at Honda and Crossrail and expect Unite to leave no stone unturned in this case. We call on Fujitsu to reinstate Ian Allinson and stop victimising union activists. We pledge to campaign for Ian’s reinstatement and build support and solidarity for the Fujitsu dispute.